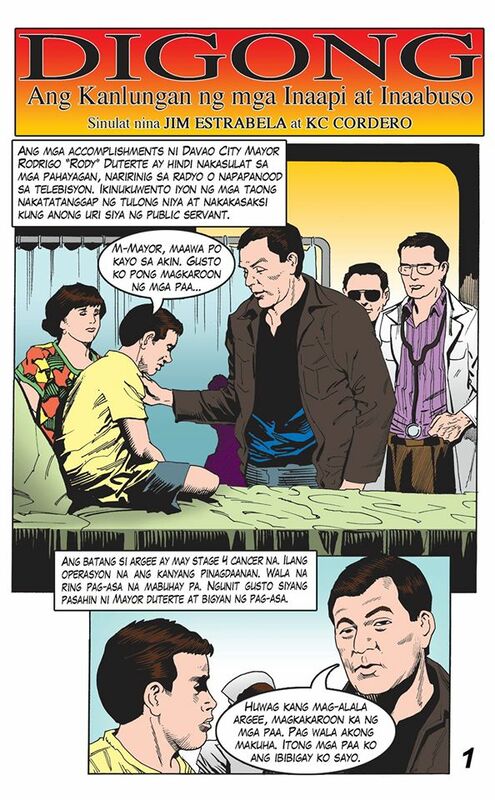 Digong: Ang Kanlungan ng mga Inaapi at Inaabuso is a comic book about Davao City Mayor Rodrigo Duterte which was released in April 2016. The release of the 10-page comic book is part of the campaign for Duterte in his bid to win the Philippine presidency in 2016. 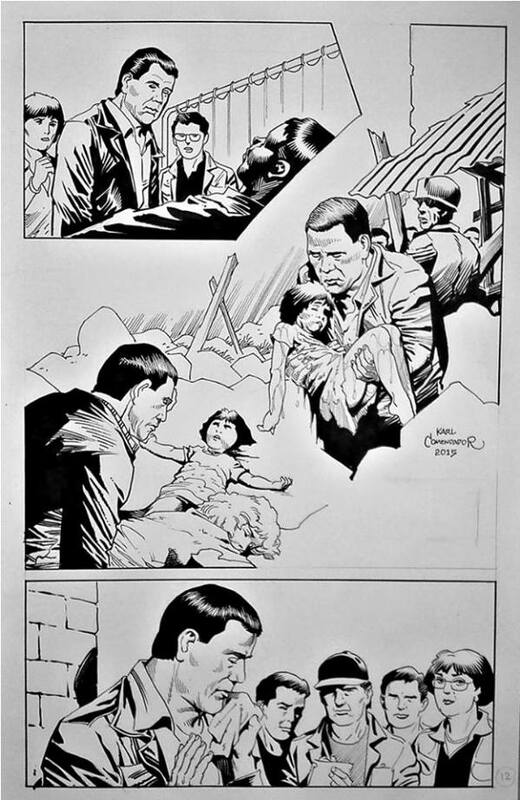 The comic book was written by Jim Estrabela and KC Cordero. It was illustrated by Karl Comendador. Comendador finished illustrating the comic book in 2015. Comendador is the same artist who illustrated Sa Gitna ng Unos, a comic book about Mar Roxas who is also a presidential candidate in the 2016 Philippine elections. Comendador said in a media interview that he completed the Duterte comic book in just 15 days. 1. A story telling how Duterte fought a crime gang that tried to infiltrate and wreck havoc in Davao City. 2. A story of a young boy who lost both of his legs. The boy received prosthetic legs from Duterte. A teaser posted on Facebook by Zhalir Jaila. A teaser posted on Facebook by Karl Comendador.